When Nina Davuluri became the second consecutive Miss New York to take home the Miss America crown, Claudette Gomez was in the audience. Perhaps this inspired her to begin competing in the Miss America Organization, and start earning scholarships to help pay for her degree at Columbia Law School. Claudette believes that any girl can become Miss America, as long as she has a passion for uplifting her community. She knew that being a titleholder would not only help her become a leader and a stimulus for change in her community, but also grow as a person from the abundance of volunteer opportunities. 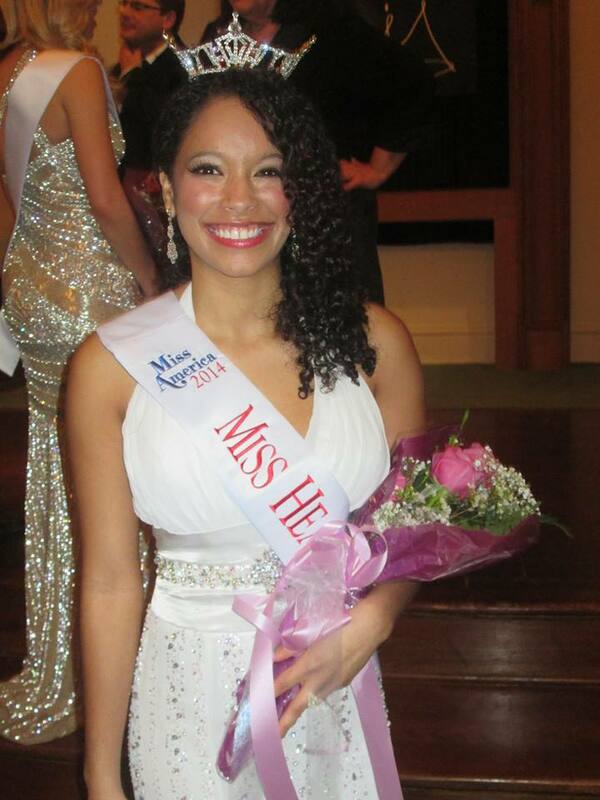 Though her last year of eligibility, Claudette tied for the award of the Ken Berry Overall Interview Award at Miss Empire Rose, and then was able to win the title of Miss Heart of New York at the last pageant of the season. The experiences she will gain as both a local titleholder and contestant at Miss New York will help her become a prominent leader in the community. She fully expects to be involved with a non-profit organization, possibly related to her platform of promoting literacy. She knows first hand that literacy and achieving dreams does not have to rely on a person’s economic status. Literacy at Your Fingertips is important because it affect all aspects of society, from applying for jobs or making decisions about your health or well being. People who are unable to read properly are unable to do these simple tasks, and in turn may cause an increase unemployment rates and even the cost of health care. Literacy is something that begins during childhood, and if we focus on increasing literacy at a young age we can as a result decrease the number of illiterate adults. Since being crowned Miss Heart of New York, Claudette has partnered with Literacy Inc., and volunteers her time reading to children. These kids are still so enthusiastic about reading, and have the opportunity to draw pictures based on the stories they hear. This month is Reading is Everywhere Month, and so she hopes to be everywhere in the community. This way she will not only be sharing the gift of reading to children, but community members of all ages. This strong connection to her platform is not all what makes her the best candidate for representing New York at Miss America this year. Miss America is a leader, first and foremost, and Claudette knows that she not only just a community leader, but someone who is relatable to those in the communities across the country. She is strongly connected to her personal platform as well as both STEM and the Children’s Miracle Network, and will work hard to advocate on their behalves. Despite being caught up with school and studying for finals, Claudette is constantly preparing for competing at Miss New York. Her secret tip to staying updated with current events is watching the Daily Show with Jon Stewart, because it is not only informational but also funny. She practices walking in heels, so she will be confident walking on stage. She is also constantly practice her talent, either with her voice or talent coach, or just singing during everyday activities like showering, cooking, or watching television. Claudette Gomez is the current Miss Heart of New York, and in two weeks she will try to win the hearts of the Miss New York judges, and hopefully go home as Miss New York.